Prominent & Leading Distributor / Channel Partner from Noida, we offer mitsubishi q plc. The expanded lineup of the high-performance model, the basic model "QUTE" and further the process CPU fully meets a wide variety of control needs. 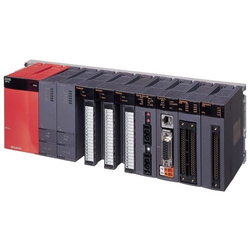 The Mitsubishi Q PLC not only provides a variety of high-level control functions. These QRPH PLC is well designed to suit the diverse Industry requirements.